(http://www.wddty.com) A vaccine for meningitis B is not going to be added to the 26 vaccinations that a UK child will receive within the first 13 months of life. The UK's vaccine regulators do not believe there is enough evidence to suggest that the Bexsero vaccine is effective. Although the new vaccine has been granted a licence by the European Commission, no country has included it in its vaccine schedule. 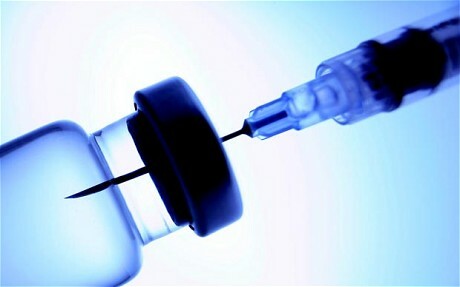 The UK's Joint Committee on Vaccination and Immunisation (JCVI) said the vaccine, manufactured by Novartis, is not cost-effective, and does not offer enough protection; data they studied suggested it its effective against 73 percent of the different strains of the disease, which they argue is not good enough to justify routine vaccination. They also express concern that there is evidence that the immunity may wear off over time. The UK vaccine schedule offers a vaccine against meningitis C, which is a rarer form of the disease; the B variety is responsible for around 90 per cent of cases of meningitis, which infects around 1,870 Britons a year. The JCVI said in their interim position statement: "On the basis of the available evidence, routine infant or toddler immunisation using Bexsero is highly unlikely to be cost effective at any vaccine price based on the accepted threshold for cost effectiveness used in the UK and could not be recommended." Novartis, the company which manufactures the drug, said it "was not asked for pricing information as part of the JCVI deliberation". Sue Davie, Chief Executive of the Meningitis Trust/Meningitis UK, said: "This is extremely disappointing news after all our supporters and our hard work over decades to introduce a vaccine. "But we're pleased to have the opportunity to respond and press our case...We understand the committee's concerns about impact and cost, but we believe this vaccine is safe and we know it will save lives. The more we delay the more lives are being lost." The Department of Health's director of immunisation Professor David Salisbury said: "This is a very difficult situation where we have a new vaccine against meningitis B but we lack important evidence. We need to know how well it will protect, how long it will protect and if it will stop the bacteria from spreading from person to person. We need to work with the scientific community and the manufacturer to find ways to resolve these uncertainties so that we can come to a clear answer." A person injected with Bexsero may experience unintended side effects including tenderness and swelling, fever, irritability, high fever, seizures, vomiting, dry skin, itchy rash, skin rash and paleness. UK bans self defense expert from teaching defense!